By now, we’ve all heard the recommendations for a heart-healthy diet – reduce your saturated fat intake, avoid trans fats, cut back on salt. But did you know there are specific foods you can eat that can help lower your LDL (bad) cholesterol even further? Researchers have created a “portfolio” of cholesterol-lowering foods, that, when eaten together along with a heart-healthy diet, are even more effective at reducing LDL cholesterol than a low-saturated fat diet alone. Incorporate these four foods into your diet to maximize your heart health. Soluble fiber – The two types of fiber, soluble and insoluble, are beneficial for a host of health issues, but getting at least 10 grams of soluble fiber every day is useful for reducing LDL cholesterol. Fiber is found in all whole plant foods such as fruits, vegetables, legumes, nuts, and grains; foods highest in soluble fiber include oats, barley, beans, citrus fruits, apples, okra, eggplant, and ground flax seeds. You can also take a fiber supplement made from psyllium husk (e.g., Metamucil). Soy – Aim for adding 25 grams a day of soy protein to help lower LDL cholesterol and reduce your risk of heart disease. Choosing more plant proteins, such as soy, in place of animal proteins helps reduce intake of saturated fat and cholesterol while increasing fiber. To get to 25 grams, aim for two servings of soy foods a day—examples of a serving include ½ cup shelled edamame, 1 cup soy milk, ½ cup tofu, 3 ounces tempeh, or a soy “burger” such as Boca Burger. Almonds – This study looked specifically at eating ¼ cup of almonds every day (plain, not salted or honey-roasted), but the heart benefits of all nuts are well documented. Sprinkle them on your oatmeal, salad, or stir-fry, or simply eat a small handful as a snack. Plant sterols and stanols – Plant sterols and stanols are naturally found in plant foods such as grains, legumes, nuts, and seeds, and are very effective at lowering LDL by blocking cholesterol from being absorbed into the bloodstream. 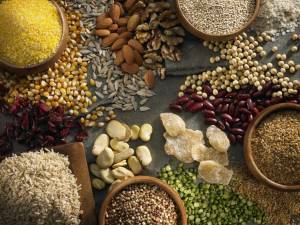 The problem is that it’s impossible to eat enough plant foods (even for this dietitian!) to get to the recommended dose of 2 grams a day. Many foods have added plant sterols and stanols (such as Benecol and Take Control margarine or Minute Maid Heart Wise orange juice), but I prefer a capsule such as Nature Made CholestOff Plus (taken twice daily with meals). These supplements help to avoid the extra calories from fortified foods (it takes 4 tablespoons of Benecol spread to get to the recommended 2 grams of plant sterols – too much margarine, in my opinion!). After years of hearing that we should eat less, I love being able to tell people that eating more of certain foods can improve their health. Enjoy! 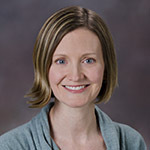 Tracy Severson, R.D., L.D., is the dietitian for the Center for Preventive Cardiology at the Knight Cardiovascular Institute. She specializes in nutrition counseling for cardiovascular health and weight management. Super helpful! Thanks Kate! Looking forward to implementing these recommendations into my diet.